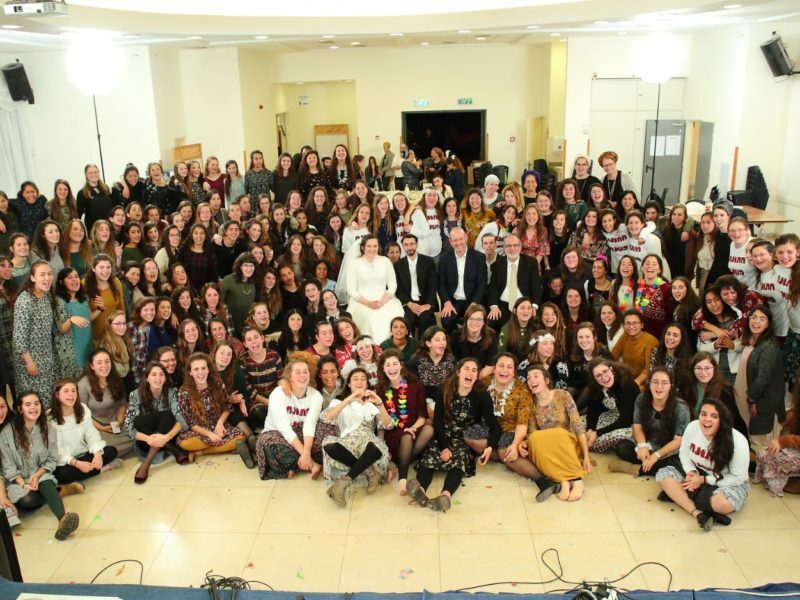 High school girls from the Israeli community of Neriya, in Benyamin, arranged and held a wedding ceremony and celebration for newlyweds who had recently converted to Judaism and had no family to help them make the necessary arrangements. The bride grew up in Florida and went through the conversion process at the Ora Institute in Jerusalem. She immigrated to Israel alone. The groom grew up in Maryland and passed the conversion process with his community rabbi. The couple met when they were part of a student exchange program from faculties of Spanish studies. The students were searching for a meaningful project which would benefit other in honor of the Purim holiday when they decided to contact the rabbi in charge of conversions at the Orah Institute. Being delighted with the idea, the rabbi connected them to the bride. The girls raised funds, enlisted professionals to help with the event while the wedding was held in the community’s hall. “The girls were wonderful, well prepared for the wedding, and during the event performed and managed it well,” the girls’ teacher Avital Fishfeder said.